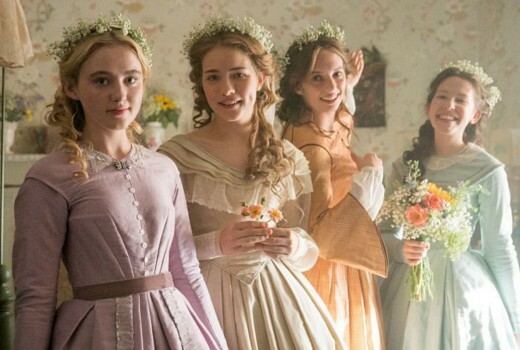 UK drama series Little Women, based on Louisa May Alcott’s classic novel, will screen on ABC in January. The three-part adaptation from Heidi Thomas (Call the Midwife) is directed by Vanessa Caswill (Thirteen). This screened a year ago on Stan with a cast including Emily Watson, Angela Lansbury and Michael Gambon. Set against the backdrop of a country divided, the story follows the four March sisters: Meg (Willa Fitzgerald), Jo (Maya Hawke), Beth (Annes Elwy), and Amy (Kathryn Newton) on their journey from childhood to adulthood while their father (Dylan Baker) is away at war. Under the guidance of their mother Marmee (Emily Watson), the girls navigate what it means to be a young woman: from gender roles to sibling rivalry, first love, loss and marriage. Accompanied by the charming boy next door Laurie Laurence (Jonah Hauer-King), their cantankerous wealthy Aunt March (Angela Lansbury) and benevolent neighbour Mr. Laurence (Michael Gambon), Little Women is a coming-of-age story that is as relevant and engaging today as it was on its original publication in 1868. A co-production with Masterpiece on PBS; Producer Susie Liggat; Executive Producers: Commissioned by Piers Wenger and Charlotte Moore (BBC); produced by Playground (Wolf Hall, Howards End) for BBC One. Colin Callender and Sophie Gardiner (Playground), Heidi Thomas, Lucy Richer (BBC) and Rebecca Eaton (Masterpiece). Saturday January 5 at 7.30 on ABC. An English made version of an American classic?